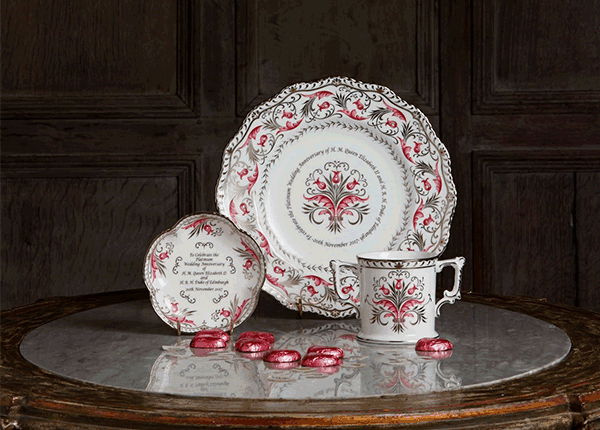 Blog - Discover Majestic Royal Love Stories with Royal Crown Derby. Discover Majestic Royal Love Stories with Royal Crown Derby. 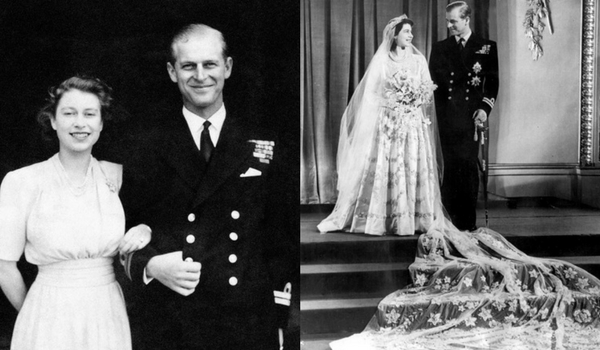 This year HM Queen Elizabeth II and HRH Prince Philip celebrate the landmark occasion of their 70th wedding anniversary on the 20th November. Royal Crown Derby share the momentous love stories from the British Royal families through the years to the present day, to inspire you in telling of our own love story. Discover a wonderful selection of truly special Royal love stories below. In 1840 Queen Victoria of England married Prince Albert, only three years after she ascended the throne in 1847. At first the match was looked upon unfavourably in certain circles due to the Princes German heritage, but he came to be admired for his devotion, honesty and diligence. 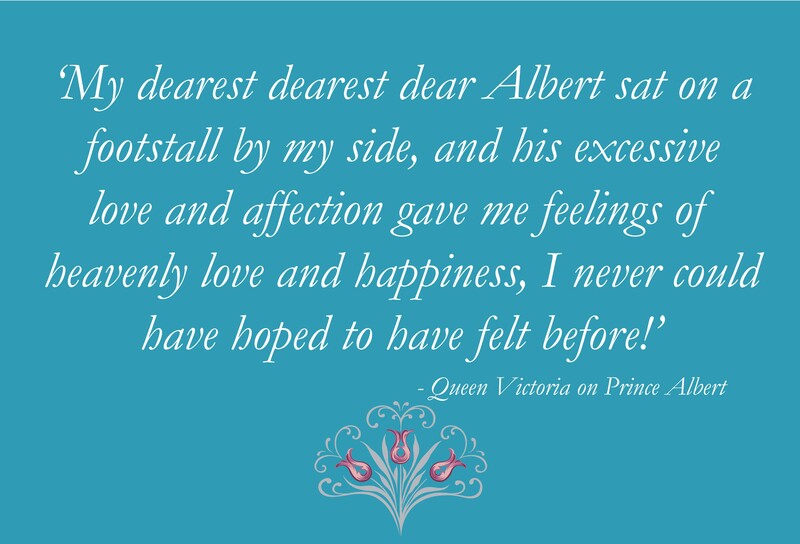 Prince Albert was a constant source of advice and support for Queen Victoria who loved him very deeply, bearing nine children throughout their marriage. In 1867 at the age of just 42 Albert died of typhoid fever. Queen Victoria entered into a state of mourning wearing black and avoiding public and state affairs for the rest of her life. She became one of the longest reign monarchs in British history being superseded by our current Queen Elizabeth II. She died in 1901 and was buried in a white gown, wearing her wedding veil and was accompanied by one of Alberts dressing gowns and a plaster cast of Prince Alberts hand placed by her side upon her request. Queen Elizabeth II (then Princess Elizabeth) first officially met Prince Philip of Greece in 1938 when the Royal family visited the Royal Naval College in Dartmouth. The young 13-year-old princess fell in love with the Prince who was 18 at the time and they began to exchange letters. Over the years as Princess Elizabeth grew up, Philip would visit the Royal. During Christmas 1943 at Windsor Castle, friends and family noticed the blossoming romance. In 1946 Prince Philip asked King George VI for Elizabeth’s hand The King granted Philip on the condition that the formal announcement waited until Elizabeth’s 21st birthday the following April. On 9th July 1947, the engagement was officially announced. Just a few months later on 20th November 1947, the young couple were married at Westminster Abbey, London. The wedding was a national celebration bringing pomp and splendour to Britain which was still recovering from World War II. Their marriage has spanned seven decades and is a modern love story to revel in with the Queen calling Prince Phillip her 'strength and stay' throughout her continuous long reign as the British Monarch, celebrating their 70th wedding anniversary this year and becoming the first Royal couple to do this in British history. In celebration of Queen Elizabeth II and Prince Philip’s 70th wedding anniversary, Royal Crown Derby have launched the Queen’s Platinum Wedding Anniversary Commemorative Collection featuring five stunning fine bone china pieces adorned in an adapted version of the ‘Princess’ pattern originally designed and presented to the couple on the occasion of their marriage. Each once embellished in platinum the traditional British precious metal presented to couples who reach this wondrous landmark in their marriage. Shop the Queens Platinum Wedding Anniversary Commemorative Collection here. Prince William and Catherine Middleton met while studying at St. Andrews University in 2002. Their relationship was confirmed in 2004 when they were pictured together skiing together. After graduation in 2005, William and Catherine started their careers. Catherine as a fashion buyer, while the Prince started his military career within the RAF. It was reported in April 2007 the couple had ended their relationship, the break up didn’t last long and they rekindled their romance in June of the same year. In June 2010 William and Catherine moved in together in North Wales, close to the RAF base Prince William was stationed at in Anglesey. The couple had been together for almost seven years when they announced their engagement on 16th November 2010, William proposed to Catherine while on holiday in Kenya giving Catherine his mother Princess Diana’s engagement ring from the Prince of Wales. On 29th April 2011, William and Catherine were married at Westminster Abbey in London, with a reception later taking place at Buckingham Palace. Wedding fever spread across the world with an estimated two billion people across the globe tuning in to watch the ceremony on television. After the wedding, the Queen bestowed upon the Royal couple the title of Duke and Duchess of Cambridge. Since their wedding they have given their support to The Queen through numerous engagements and royal tours in Britain and overseas. In July 2013, they welcomed their first child Prince George, followed by Princess Charlotte in May 2015 and they have recently announced that they are expecting their third child due in April 2017. 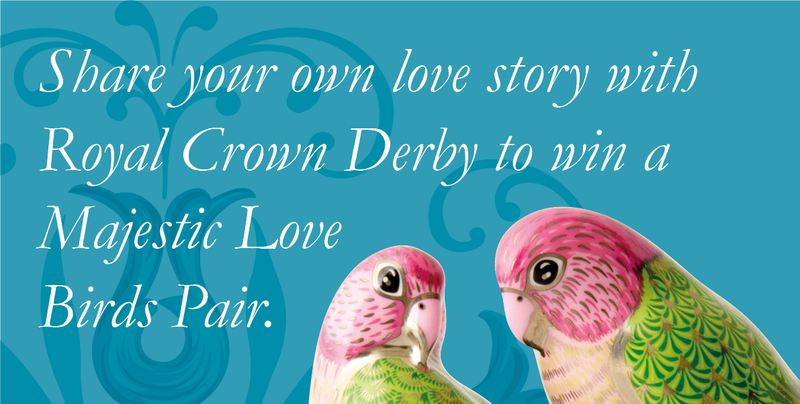 Royal Crown Derby would like you to share your own love stories with us for a chance to win your own Majestic Love Birds Pair from the Queen's Platinum Wedding Anniversary Commemorative Collection recently launched to commemorate this very special 70th wedding anniversary. To enter this wonderful competition please complete the form here by no later than 11.59pm on 20th November to be in with a chance of winning. For full terms and conditions apply. Please click here to view.